Junior Chefs Academy joined us with an existing website. However, they acknowledged that the site was old and they were unable to manage their own content. We designed, developed and built a brand new, fully mobile responsive and search-optimised website for our clients. 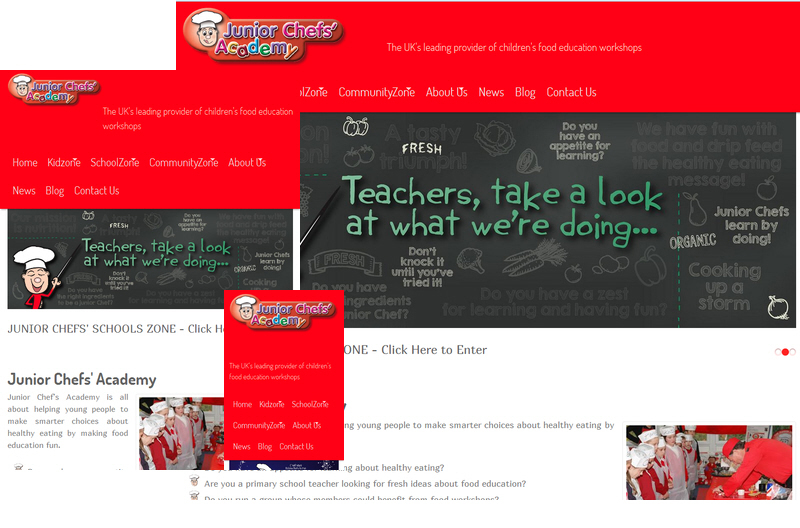 Junior Chefs Academy are now able to manage their own content, adding news and blog posts on a regular basis. We are currently retained by our client on a support and maintenance basis.